†Kenzie Allen (Light Pollution and Letters I Don’t Send #4, Poetry) is a descendant of the Oneida Tribe of Indians of Wisconsin, and she is a graduate of the Helen Zell Writers’ Program at the University of Michigan. Her work has appeared in Boston Review, The Iowa Review, Apogee, SOFTBLOW, Drunken Boat, and other venues, and she is the managing editor of the Anthropoid collective. She was born in West Texas and currently lives in Norway. †Evan Anderson (In the Beginning Was the End, Flash) is a writer, marketer, and designer with degrees in biology and chemistry. Not that that last bit is relevant, but it’s sometimes at least idiosyncratic enough to be interesting at parties and whatnot. Evan has published fiction in Gone Lawn and Cease, Cows. He lives and writes in a bowl of a city, surrounded by swamps and brimming with stories and music. †Daniel Aristi (Torcida / Askew, Flash) studied French literature as an undergrad at the French Lycée of San Sebastian. A native of Spain, he now lives and writes in Switzerland with his wife and two children. His work has been published in many journals, including Meat for Tea, and is forthcoming in the Los Angeles Review and Fiction Southeast, among others. His story “Tempus Fugit” from SAND was listed among The Best Small Fictions. He can be contacted at aristi.daniel@gmail.com. Harmony Button’s ([A brother is a cistern and a bucket with a rope], Poetry) work has been included in Best American Notable Essays of 2015, she has been nominated for Pushcart and Best of the Web awards, and she was awarded the Larry Levis Prize (Academy of American Poets). Her work has appeared in journals such as Colorado Review, Chicago Quarterly, Southwestern American Lit, Cobalt, Rock & Sling, Bayou, and Drafthorse. Find out more at www.harmonybutton.com. Her poem “Nativity” appeared in Issue No. 8 of Cleaver. Constance Campana’s (Road Trip, 1957, Poetry) work has appeared in Brown Journal of the Arts, Three Rivers Poetry Journal, 491 Magazine, Dogwood, Clerestory, SNReview, and several other small press magazines. Besides poetry, she is currently writing personal essays that examine family myths and the detailed events that determine identity. She grew up in Kentucky but, after receiving her MFA from Brown University, stayed in Rhode Island and recently moved to Massachusetts where she teaches writing at Wheaton College in Norton, MA. Kevin Casey (Ripples, 1978, Poetry) has contributed poems to recent editions of Green Hills Literary Lantern, Kentucky Review, decomP, and other publications. His new chapbook The wind considers everything— was recently published by Flutter Press. Another chapbook, from Red Dashboard, is due out later this year. Gretchen Clark (Destroyer, Creative Nonfiction) grew up in the Bay Area. She holds a BA in English and teaches creative nonfiction online at writers.com. Her work has appeared in Pithead Chapel, Ray’s Road Review, Word Riot, Literary Mama, Switchback, Tiny Lights, and 94 Creations, among others. Her essay “Pink Chrysanthemum” was nominated for a Pushcart Prize. Jason Christian (Teaching, Flash) was born and raised in Oklahoma. His work has appeared in Atticus Review, Burningword Literary Journal, The Collagist, Oklahoma Review, This Land Press, World Literature Today, and elsewhere. He was recently accepted as an MFA candidate at Louisiana State University and will begin this fall. †Matthew Di Paoli (A Comedy in One Act, Fiction) received his BA at Boston College, where he won the Dever Fellowship and the Cardinal Cushing Award for Creative Writing. He has also been nominated for the 2015 and 2016 Pushcart Prize and won the Prism Review Short Story Contest. Matthew earned his MFA in Fiction at Columbia University. He has been published in Post Road, Qu, The Great American Literary Magazine, Neon, The Soundings Review, and Gigantic, among others. He is the author of a novel, Killstanbul, from El Balazo Press and teaches writing and literature at Monroe College. †Kea Edwards (Enchantment!, Fiction) is a recent graduate from the University of Pennsylvania with a degree in creative writing and gender, sexuality & women’s studies. While at Penn, she received recognition for her poetry and creative nonfiction. “Enchantment!” is her first fiction publication and is the title story for her thesis, a short story collection set in the area where her grandfather lives in New Mexico. Alexis Rhone Fancher’s (June Fairchild Isn’t Dead, Poetry) poem “when I turned fourteen, my mother’s sister took me to lunch and said:” was chosen by Edward Hirsch for inclusion in The Best American Poetry of 2016. She is the author of How I Lost My Virginity To Michael Cohen and other heart stab poems (Sybaritic Press, 2014) and State of Grace: The Joshua Elegies (KYSO Flash Press, 2015). Find her poems in Rattle, The MacGuffin, Menacing Hedge, Blotterature, Slipstream, Wide Awake: Poets of Los Angeles, Chiron Review, Hobart, and elsewhere. Alexis is the poetry editor of Cultural Weekly. Find her at alexisrhonefancher.com. Matthew Gellman’s (Trip, Poetry) poems are featured or forthcoming in Thrush, H.O.W. Journal, Lambda Literary, Poetry Quarterly, DIALOGIST, Two Peach, and elsewhere. He is the recipient of an Academy of American Poets prize and a scholarship from the NYS Summer Writer’s Institute. He lives in New York and is currently an MFA candidate at Columbia University. †Christian Anton Gerard’s (Aubade in Afternoon, Poetry) first poetry book is Wilmot Here, Collect For Stella (WordTech, CW Books, 2014). He’s received Pushcart Prize nominations, scholarships from the Bread Loaf Writers’ Conference, and an Academy of American Poets Prize. Some of his recent poems appear in storySouth, Post Road, Diode, Pank, Orion, Smartish Pace, B-O-D-Y, The Rumpus, and The Journal. Gerard holds a PhD in English from the University of Tennessee, and he currently lives in Fort Smith, Arkansas, where he’s an Assistant Professor of English, Rhetoric, and Writing at the University of Arkansas-Fort Smith. 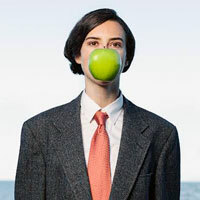 Find Christian on the web at www.christianantongerard.com. Melissa Goode (The Whole Damn Lovely Thing, Fiction) is an Australian writer living in the Blue Mountains, just outside of Sydney. Her work has appeared in Best Australian Short Stories, The Fiction Desk, Crannóg, Halfway Down the Stairs, Pithead Chapel, and Mulberry Fork Review, and she has been a featured writer in Bang! One of her short stories has been made into a film by the production company Jungleboys. She is currently writing her first novel, What Have We Become, which was selected by Random House for a publishing fellowship with Varuna, the National Writers House in Australia. John Harvey (Angels Have Cordoned Off Sections of Mount Sinai, Poetry) directs the Center for Creative Work at The Honors College at the University of Houston. His poems have appeared most recently in Ghost Ocean Magazine, Red Ochre Lit, 2River View, and Weave Magazine. He is the resident playwright for Mildred’s Umbrella Theater Company. His most recent play Rome premiered in 2014. †Born and raised in Atlanta, GA, Robert E. Heald graduated from Colorado College in 2014 and is currently an MFA candidate in the Helen Zell program for poetry at the University of Michigan. His work was chosen as a finalist in River Styx’s International Poetry Contest and has appeared or is forthcoming in Muzzle Magazine, Reservoir, Bird’s Thumb, and Assaracus. Lynn Marie Houston (Rabbit Punch, Creative Nonfiction) holds a PhD in English from Arizona State University. Her writing has appeared in Word Riot, Squalorly, Full Grown People, Bluestem, and other journals, as well as in her collection of poetry, The Clever Dream of Man (Aldrich Press), which won first place in the 2015 Connecticut State Press’ literary awards. She is currently pursuing her MFA at Southern Connecticut State University and runs Five Oaks Press. Tracy Jones (On Peter Adamyan’s “Blackface Barbie Minstrel Show”, Creative Nonfiction) is an aging skateboarder, born-again human, wanna-be photographer, recovering mind reader, and a self-published author of two books of poetry: I Think Therefore I Am and still breathing…. Winner of The Bill Gates Millennium Scholarship, he graduated from SUNY Purchase College with a BA in Creative Writing. As a freelance writer, he’s written for Mugshot, Hi-Fructose, Alarm Press, Dig In, Intouch, Tokyo Art Beat, Metro Pop, Under Pressure, and Stark Life Magazine. Originally from Orlando, Florida, he lives in Tokyo with his wife and daughter. Ted Lardner (How to Jump From a Moving Car, Poetry) has published three chapbooks: Passing By a Home Place (Leaping Mountain, 1987), Tornado (Kent State, 2004), and We Practice For It, which was selected by Mark Doty as the winner of the Sunken Garden Poetry Award and published by Tupelo Press in 2014. His poems and nonfiction have appeared in Watershed Review, One, Blue Fifth Review, Gone Lawn, 5am, Arsenic Lobster, and other journals. He lives and teaches writing in Ohio. Harley M. Lethalm (On playing an old Jackson guitar…, Fiction) lives in Connecticut “between Job’s great linear suffrage, between Eskimaux, friends, friends of Denver nighttime Real Stars and watered-down umbrellas, years of torn yellow wallpaper.” His work has appeared or is forthcoming in The Bacon Review, Fatso Spider Epistle, Clockwise Cat, Brickplight, the Radvocate, The Circle Review, Artifact Nouveau. His first book, The Kidders of Escalope, is due in March 2017. Kim Magowan (Squirrel Beach, Fiction) lives in San Francisco and teaches in the English Department at Mills College. Her fiction is published or forthcoming in Arroyo Literary Review, Atticus Review, Bird’s Thumb, Breakwater Review, Broad!, Corium Magazine, Fiction Southeast, 580 Split, The Gettysburg Review, Gravel, Hobart, Hotel Amerika, Indiana Review, JMWW, Parcel, River City, Sixfold, SNReview, Squalorly, Valparaiso Fiction Review, and Word Riot. She is working on a novel and a short story collection. Lucian Mattison (Homunculus, Poetry) is an Argentinian American poet. His full-length collection, Peregrine Nation, won the 2014 Dogfish Head Poetry Prize from The Broadkill River Press. He is the winner of the 2016 Puerto Del Sol Poetry Prize and his poems appear in Four Way Review, Hobart, Muzzle, Nashville Review, and elsewhere online and in print. His fiction appears in Fiddleblack and is forthcoming in Nano Fiction and Per Contra. He works at The George Washington University and is an associate editor for Big Lucks. To read more visit Lucianmattison.com. Triin Paja (Quasar, Poetry) is an Estonian living in a small village in rural Estonia. She writes in various fields, cities, dreams, and countries, sometimes in English, sometimes in Estonian. Her poetry has appeared in BOAAT, Tinderbox, Gloom Cupboard, Otis Nebula, and elsewhere. †Meg Pendoley (Birch Waters, Fiction) was born and raised in Amesbury, Massachusetts, a small town on the border of New Hampshire, where she spent her summers working on a vegetable farm. She now lives and works in Philadelphia. This is her first publication. Simon Perchik ([There is skin even the sky] and [Except for the new suit], Poetry) is an attorney whose poems have appeared in Partisan Review, The Nation, Poetry, Osiris, The New Yorker, and elsewhere. His most recent collection is Almost Rain, published by River Otter Press. For more information, including free e-books and his essay titled “Magic, Illusion and Other Realities,” please visit his website at www.simonperchik.com. †Ushshi Rahman (Lee the Baptist, Poetry) is a Bangladeshi poet who currently resides in New York City where she exists at the intersection of styling words and garments. She attended The New School, and her work appears or is forthcoming in DuKool Magazine (as the poetry contest winner), 12th Street Journal, and Caravel Journal. Doug Ramspeck (Consolations, Flash) is the author of five poetry collections. His most recent book, Original Bodies (2014), was selected for the Michael Waters Poetry Prize and is published by Southern Indiana Review Press. Individual poems have appeared in journals that include The Kenyon Review, The Southern Review, and The Georgia Review. Stories have appeared in Iowa Review, Green Mountains Review, Gargoyle, and others. †Jon Riccio (Insular, Poetry) studied viola performance at Oberlin College and the Cleveland Institute of Music. His poems have appeared in Bird’s Thumb, Hawai’i Review, Redivider, Blast Furnace, The Writing Disorder, and Stone Highway Review, among others. Originally from the Midwest, he makes his home in Tucson, where he received his MFA from the University of Arizona. †Lisa Romeo’s (Break A Leg, Creative Nonfiction) work has been nominated for Best American Essays and the Pushcart Prize and has appeared in the New York Times, O-The Oprah Magazine, Inside Jersey, Babble, Under the Sun, Hippocampus, Word Riot, Sweet, Sport Literate, and in anthologies such as Feed Me! and Why We Ride. She is a founding faculty member of Bay Path University’s MFA program and the creative nonfiction editor of Compose. A former equestrian journalist and PR specialist, Lisa lives in New Jersey with her husband and sons. Connect on Twitter @LisaRomeo or via LisaRomeoWrites. Kathleen Rooney (Hommage à Mack Sennett, Flash) is a founding editor of Rose Metal Press, a publisher of literary work in hybrid genres, and a founding member of Poems While You Wait. Co-editor with Eric Plattner of The Selected Writings of René Magritte, from Alma Books (U.K.) and University of Minnesota Press (U.S.) in 2016, she is also the author of seven books of poetry, nonfiction, and fiction, including, most recently, the novel O, Democracy! (2014) and Robinson Alone (2012). Her second novel, Lillian Boxfish Takes a Walk, will be published by St. Martin’s Press in 2017. †Meggie Royer (Graduation Day, Poetry) is a writer and photographer from the Midwest who is currently majoring in Psychology at Macalester College. Her poems have previously appeared in Words Dance Magazine, The Harpoon Review, Melancholy Hyperbole, and more. She has won national medals for her poetry and a writing portfolio in the Scholastic Art and Writing Awards and was the Macalester Honorable Mention recipient of the 2015 Academy of American Poets Student Poetry Prize. Her poem “Sugar” appears in Cleaver’s Issue No. 13. Ray Scanlon (Atlantic Dystopia, Flash) is “a Massachusetts boy. He feels lucky to be above ground, lucky to have grandchildren. No MFA. No novel. No extrovert. Not averse to litotes.” Twitter: @oldmanscanlon. On the web: read.oldmanscanlon.com. 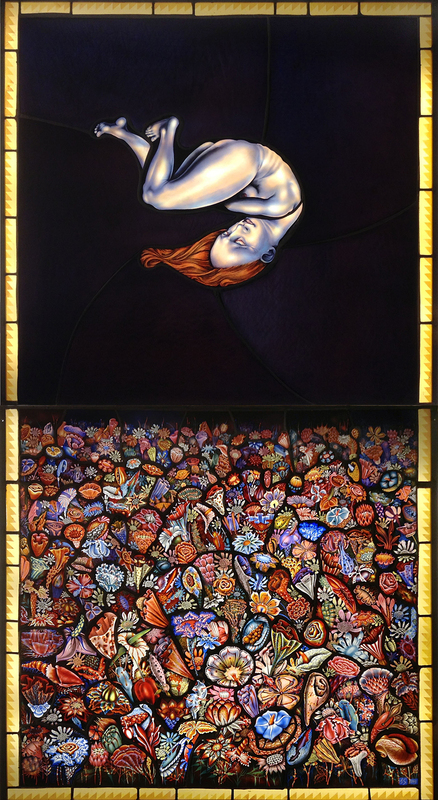 Judith Schaechter (The Stigma of Beauty, The Stain of Glass, Art) has lived and worked in Philadelphia since graduating in 1983 with a BFA from the Rhode Island School of Design Glass Program. She has exhibited widely, including New York, Los Angeles, Philadelphia, The Hague, and Vaxjo, Sweden. She is the recipient of many grants, including the Guggenheim Fellowship, two National Endowment for the Arts Fellowships in Crafts, The Louis Comfort Tiffany Award, The Joan Mitchell Award, two Pennsylvania Council on the Arts awards, The Pew Fellowship in the Arts, and a Leeway Foundation grant. More at www.judithschaechter.com and judithschaechterglass.blogspot.com. Visit her work at Claire Oliver Gallery in New York. John Timpane (A Cricket in Washington Square Park, Poetry) is the media editor/writer for The Philadelphia Inquirer. His work has appeared in Sequoia, The Fox Chase Review, Apiary, Painted Bride Quarterly, The Philadelphia Review of Books, The Rathalla Review, Per Contra, Vocabula Review, and elsewhere. Among his books is a chapbook, Burning Bush (Judith Fitzgerald/Cranberry Tree, 2010). His poem “In a Dry Month” appears in Issue No. 1 of Cleaver. He is the spouse of Maria-Christina Keller. They live in New Jersey. Robert Wexelblatt (The End of War, Flash) is professor of humanities at Boston University’s College of General Studies. He has published the story collections Life in the Temperate Zone, The Decline of Our Neighborhood, The Artist Wears Rough Clothing, and Heiberg’s Twitch; a book of essays, Professors at Play; two short novels, Losses and The Derangement of Jules Torquemal; and essays, stories, and poems in a variety of scholarly and literary journals. His novel Zublinka Among Women won the Indie Book Awards first-place prize for fiction. †Marya Zilberberg (Cutting Corners, Flash) came to the U.S. at fourteen from what was then the Soviet Union. She now lives in Western Massachusetts, where she splits her time between numbers and words, the latter mostly in English. By day she studies the spread of superbugs and ponders conundra in evidence-based medicine. By night, she gives in to her creative impulses. She is the author of the book Between the Lines: Finding the Truth in Medical Literature. Her creative work has appeared or is forthcoming in Six Hens, Meat for Tea: The Valley Review, Vox Poetica, The Blue Hour, and Boston Poetry Magazine, among others. She blogs at Arkadia.